My husband and I are proud parents to two gorgeous fur babies. These dogs are my life. They are about to turn 11 years old and I can’t imagine how all of these years would have been without them. I got them when I was 16 and they have been with me through every major event in my adult life. Even though I take pictures for other people for a living, I don’t always feel like I take enough of my own family. 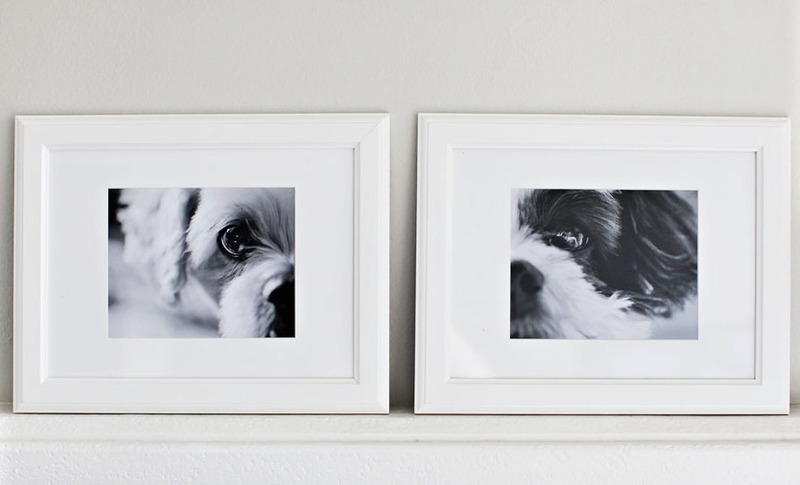 When we moved into this apartment and started our plan for decorating I knew I wanted portraits of the pups. 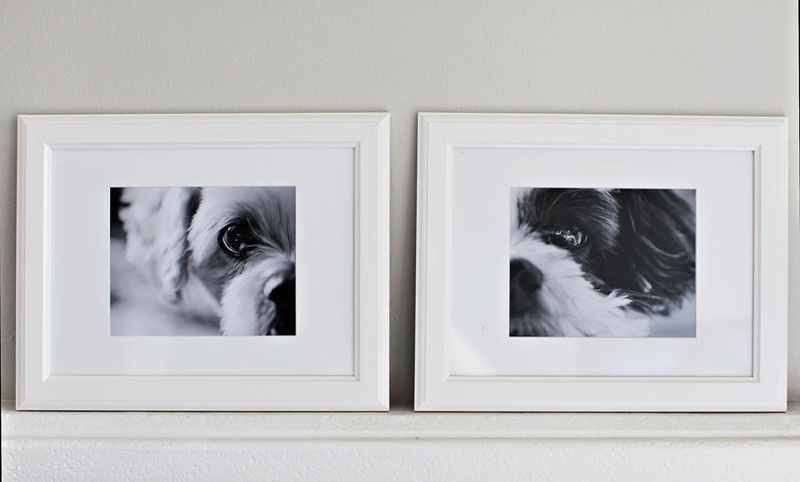 I started photographing them and loved the way these turned out – especially when framed. 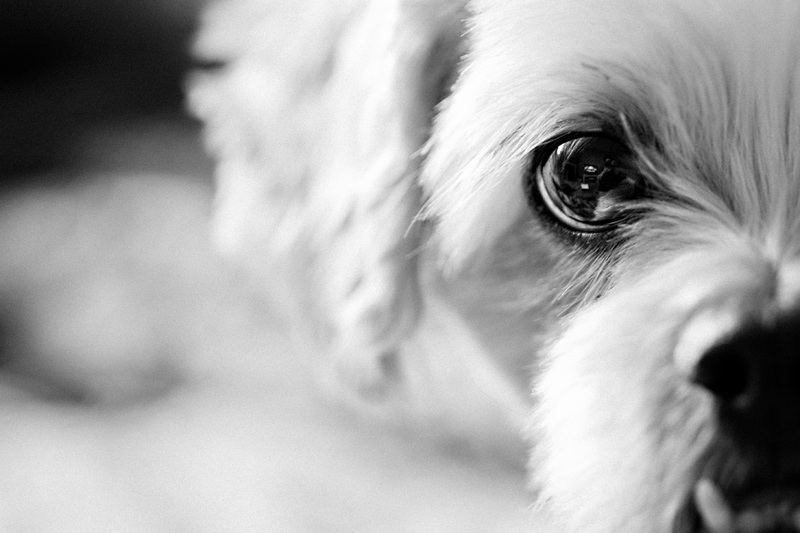 What I love is when you look closely you can see my reflection in their eyes. In a way it’s a picture of us together. 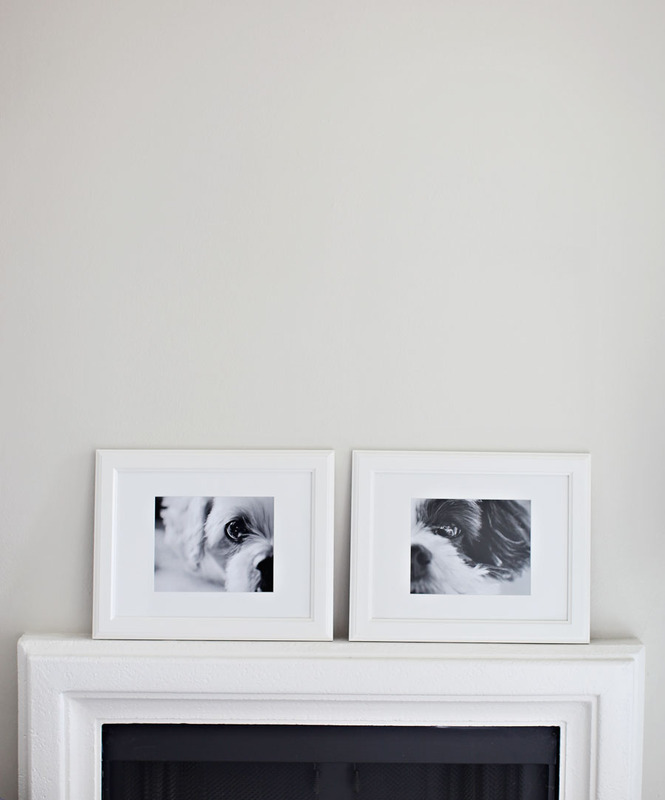 Framing family photos is always a great way to personalize a space. But, if you want to give it a unique twist, try using photo editing software to crop digital pictures. You can crop to focus on different areas of the photos to create an abstract effect or even crop snapshots to give more of a portrait type feel. 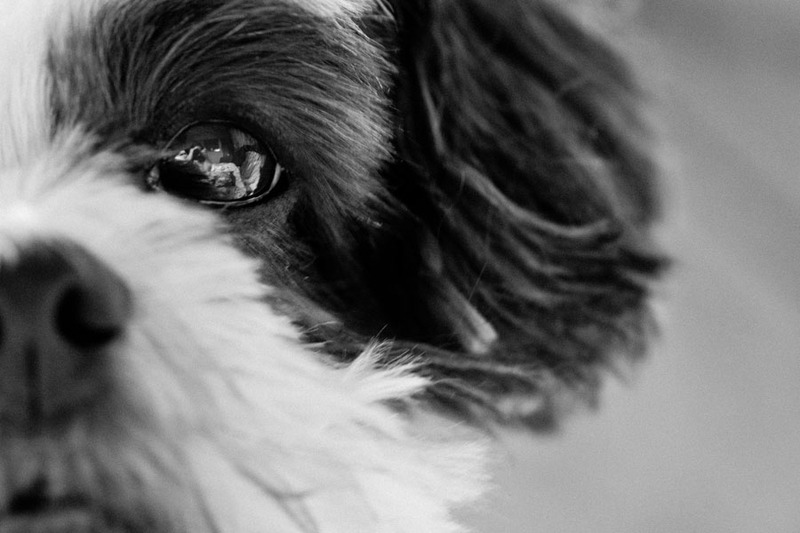 For these puppy portraits I used half of their faces on opposite sides to accomplish a cohesive and unique set. I’m not sure where I want to put these yet. 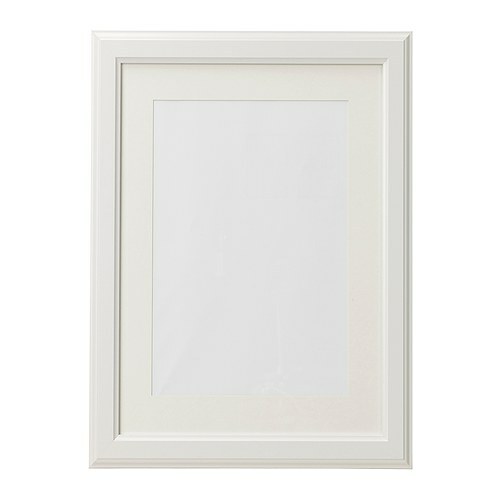 I’m thinking of making a grouping of frames above the sofa with our family photos and incorporating these. Or maybe above the fireplace. But for now they’re sitting on the mantle in a very unfinished living room. This is so cute! You do great photography!